A group of 13 students from the University of North Georgia, USA were on the island as part of a one week visit to Belize. After conducting some work in Belize City, the students visited Ambergris Caye where they collaborated with teachers and students on the island as part of the university’s Study Abroad program. 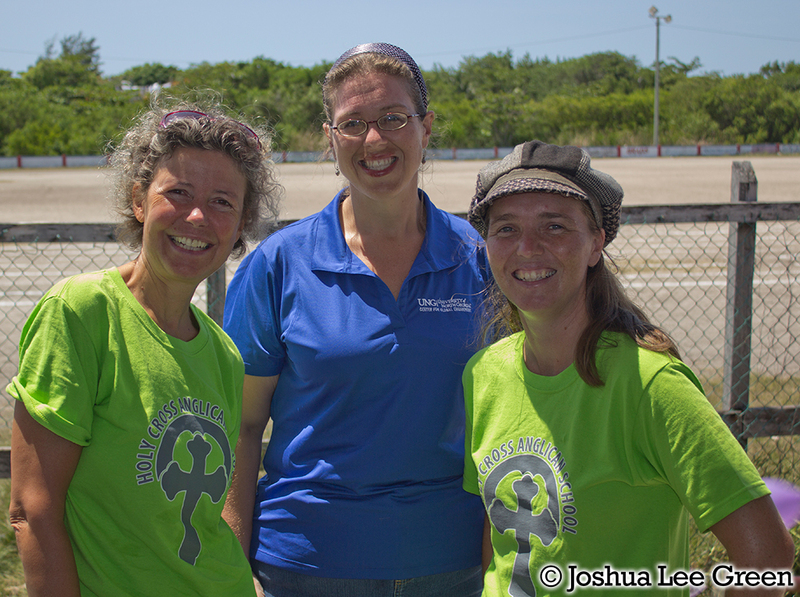 It is the eighth year that Carlise Womack Wynne, who is the Associate Director at the Center for Global Engagement at the University of North Georgia, has been bringing students to Belize. According to Wynne 12 of the student are pursuing a degree in teacher’s education while one is a journalism student pursuing a university degree at the newly merged North George University. “We were working with teacher training, teacher support working one-on-one with students in classrooms in the area of reading, literature, mathematics and also assisted with sports day,” said Wynne about some of the things the education students were engaged in. “Our journalism student worked with a local newspaper in the area of photojournalism. He got to document, through photographs part of the culture of Ambergris Caye. He also got to document the work the education students were doing in the classroom,” added Wynne. 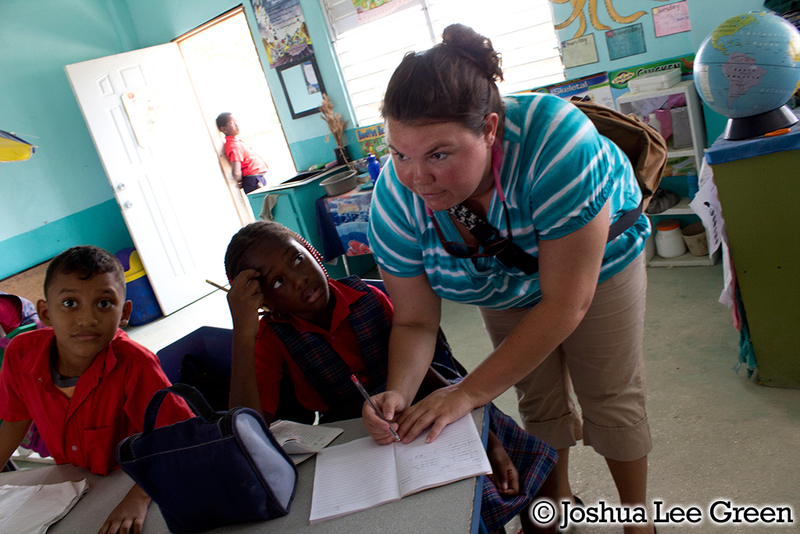 In Belize City the teacher’s education major students worked at Unity Presbyterian Primary School while on Ambergris Caye they worked mostly with teachers and students at Holy Cross Anglican Primary School. According Wynne, annually the university recruits education major students who are ready and capable of working in schools along with students and teachers in Belize. “Generally we open the opportunity to anyone who is interested and then we vet each application to see if they are acceptable for the study abroad program and that they understand what they are getting into. This is a service program and not a tourism consumer based program. We are here for service learning and we are here to give to the community in whatever way the University of North Georgia can,” explained Wynne who for the previous seven expeditions has been bring students as part of Gainesville State College. In January that state college merged with other institutions forming the North Georgia University who has been following up and planning on building on the established study abroad program. As part of the study abroad program the students visit Belize for eight days where they have the unique opportunity to experience the cultural aspect of Belize by meeting other university students. On the night of Saturday May 11th, the students had the unique opportunity to meet other students from the University of TheWest Indies (UWI), Belize Campus. During a meet and greet, the US students enjoyed the Garifuna Culture through drumming and various dances. On Sunday May 12th, the university students traveled to the Lamanai Maya Site in the Orange Walk District, one of the main sites in the country and the largest in northern Belize. 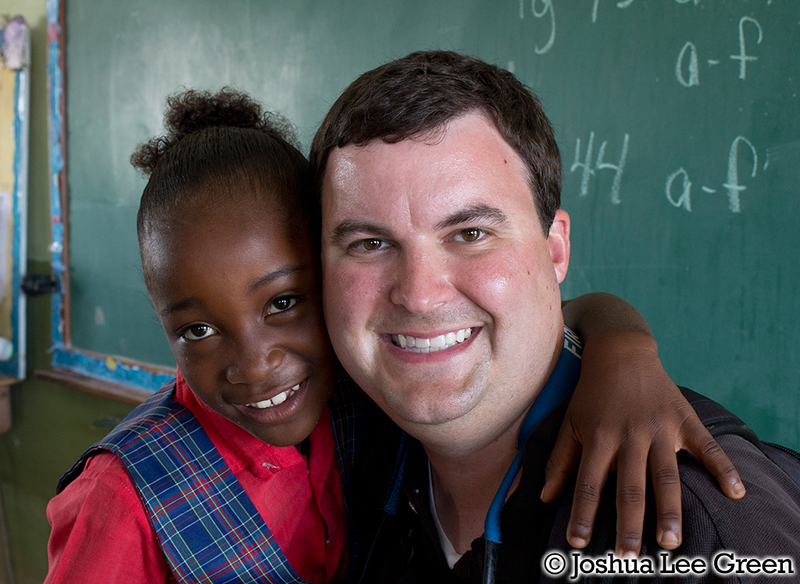 There, the North Georgeia students were met by students of Sacred Heart Junior College (SHJC) from the Cayo District. When speaking to The San Pedro Sun, Vicky Novelo, Director of Student Services at SHJC, explained the purpose of the interaction between the two groups of students. 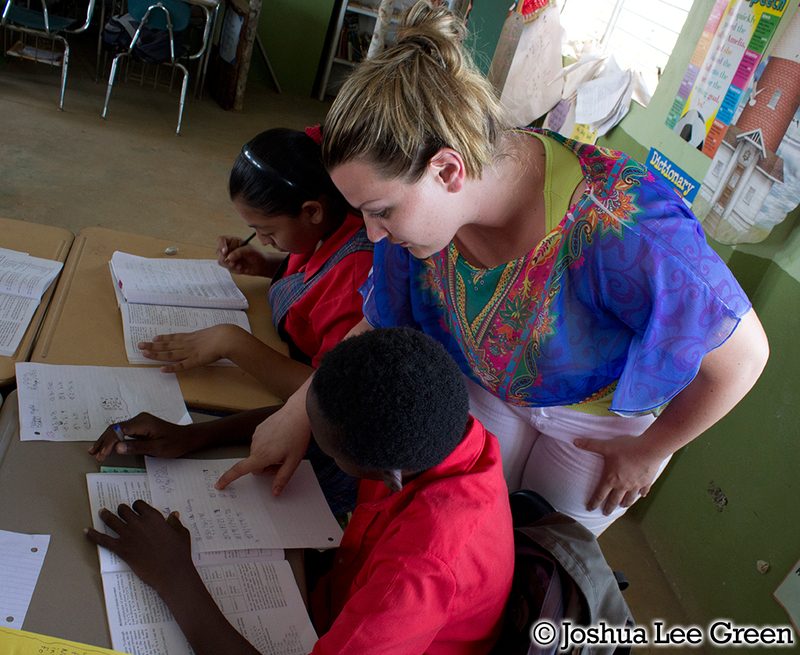 “Our students usually partner with other students from the US while here in Belize on different projects, mainly in the Cayo area. 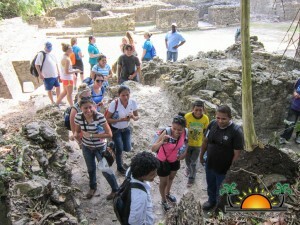 The trip to Lamanai was more recreational and mainly to allow interaction and an exchange. 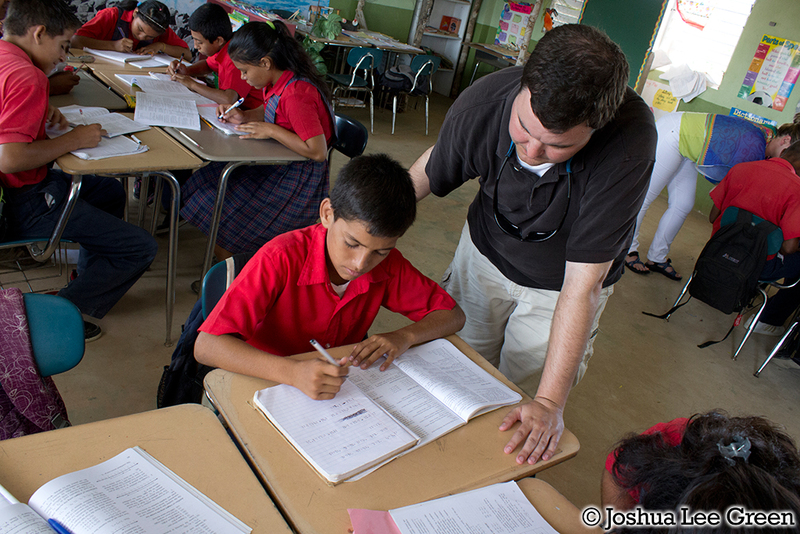 The interaction gives our students some exposure as to what other students from the US come to do in Belize. It exposes them to doing more than just the academics and so it gets them involved in extracurricular activities that hopefully they can develop later on when they graduate,” explained Novelo. 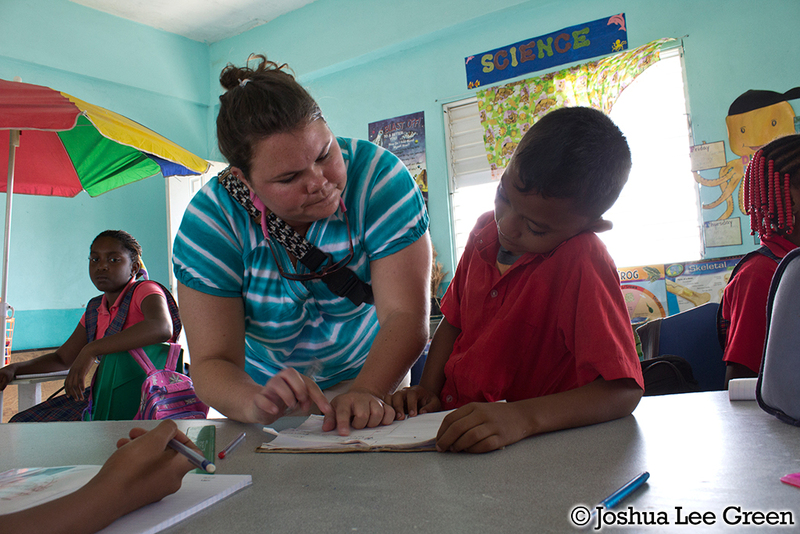 On Wednesday May 15th, the students were involved in a similar activity in San Pedro Town. At a social function held at the San Pedro Lions Den, they had the opportunity to meet with some members of the faculty and student body of San Pedro Junior College. 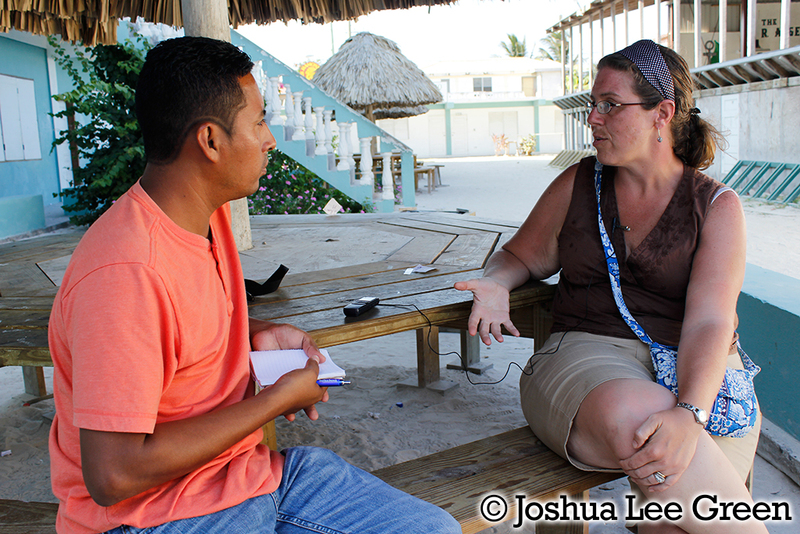 The San Pedro Sun had the opportunity to host photo journalism student Josh Jones as part of a pilot program by the university that will see future journalism student experience study abroad programs in collaboration with media houses in Belize. While with The San Pedro Sun, Jones captured several images as stock photographs that will be used for future publications.